The eleventh hour of the eleventh day of the eleventh month marks the signing of the Armistice, on 11th November 1918, to signal the end of World War 1. This year`s Remembrance Day falls on 8th November. A day when for a minute at 11am we should put down our mobile phones, turn off the TV and turn away from our own thoughts to remember all those service men and women who courageously died in the two World Wars and later more recent conflicts. My family have been much more fortunate than others. My grandfather, one of the last to leave Dunkirk as he helped younger soldiers out of the freezing water into boats, never liked to talk about his experiences. He did, however, come home. Likewise, my younger sister, a serving army officer, came home from Afghanistan. I will always be eternally grateful but my gratitude to all those thousands of soldiers who did not come home, family or not, will keep them forever in my thoughts. Some say women should wear their poppy on the right side and men on the left, as is the tradition with badges or brooches; others say it should be worn on the left, over the heart; the red represents the blood of all those who gave their lives; the black represents the mourning of those whose loved ones never came home; the green leaf represents the grass and crops growing and future prosperity after the war destroyed so much; the leaf should be positioned at 11 o`clock to represent the eleventh day of the eleventh month, the time on 11th November 1918 when the guns of the Western Front fell silent after more than four years of continuous warfare ending World War 1. 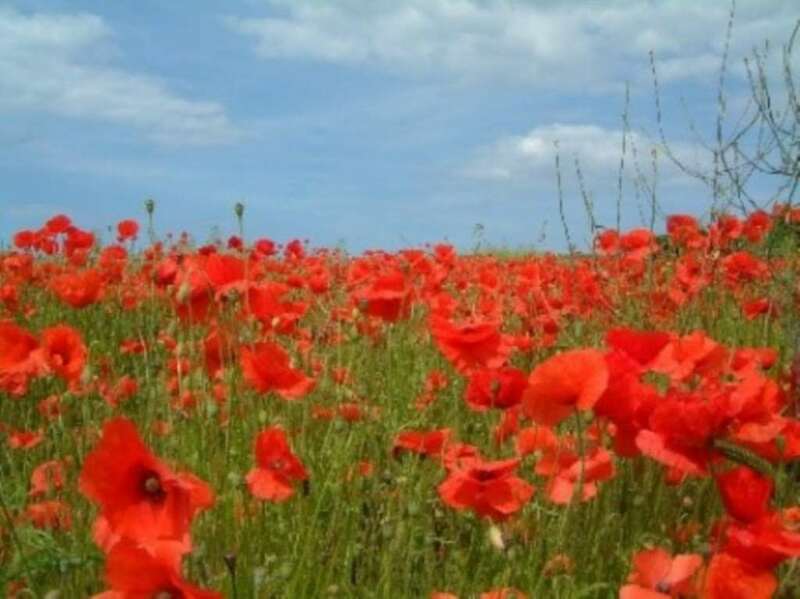 The most likely relevance of the poppy is that it grows wild in many fields in northern France and Belgium which is where some of the deadliest battles of World War 1 took place and many men died. Poppies are tough flowers, and can grow anywhere, but are also delicate which makes it a fitting emblem to remember those who died. Whatever you choose to believe, all that really matters is that you remember the fallen and wear your poppy with pride. Here in Southborough, a Remembrance Day Parade will assemble at Pennington Grounds at 8.30am and march to the War Memorial for a service at 9am this Sunday, 8th November.